It’s the fall of the year when an old man’s thoughts turn to werewolves. Not that I’ve ever believed there were such creatures, but they do have a pedigree in ancient religious ideas, and even today skin-walkers play a role in some Native American traditions. While I lived in Wisconsin I found out about the Beast of Bray Road, a cryptid that is seen on occasion south of Nashotah, where I lived. Unfortunately I learned about the beastie too late to make any attempts to see it, but the documentation of the creature is in good hands with local author Linda Godfrey. When I moved to New Jersey, scrabbling for a living tended to outweigh concerns about werewolves. Nevertheless, I did hear of an odd account in a south Jersey newspaper from 1925. According to the Woodbury Daily Times (now defunct), a farmer in Greenwich, south of Camden, shot an up-right hopping, dog-like creature that had twice raided his chicken coop early on a December morning in 1925. According to the paper, hundred of people went to view the unidentified animal and some even photographed it. Now, 85 years later, the story is barely remembered. Was this just another gun-toting Philadelphia suburbanite shooting an annoying dog, or had a “werewolf” passed through New Jersey all those many years ago? Periodically accounts of dogs running on hind legs are posted by late-night drivers in the Garden State, but no photographs or other evidence ever seems to be forthcoming. Werewolves are less about monsters than they are about struggling with inner conflict, according to many psychologists. Our animal nature, deeply sublimated, sometimes makes a ferocious bid for freedom and otherwise sane individuals believe themselves to have turned into wolves. When I look at my crazy employment history, somehow I can relate. Some day I hope to transform into a fully employed academic or editor who has a steady income and an appreciative employer. My chances of seeing a werewolf, however, may be slightly better. I think I’ll head to Greenwich to poke around a bit, but I’m going to wait for a full moon, Friday the 13th, or a full-time job – whichever comes first. 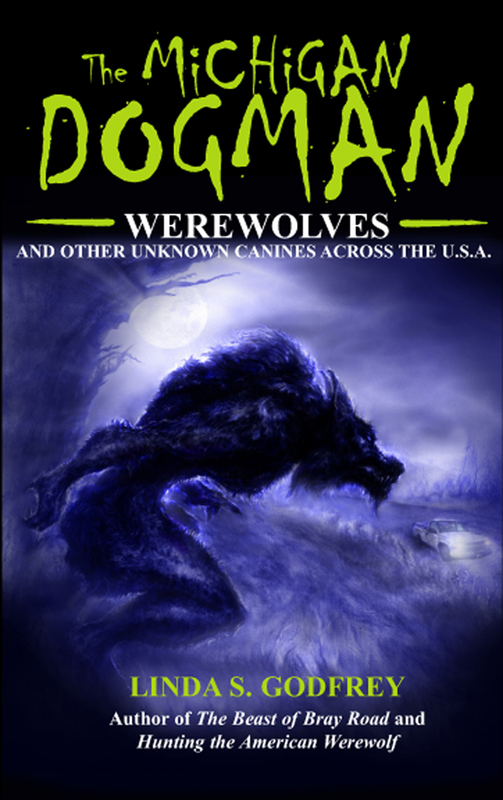 This entry was posted in Animals, Books, Just for Fun, Monsters, Popular Culture, Posts and tagged Beast of Bray Road, Greenwich, Linda Godfrey, New Jersey, werewolf, Wisconsin by Steve Wiggins. Bookmark the permalink. Here’s hoping you get to Greenwich on the job ticket. All the best. Thanks, Piper. I started out writing about Linda’s new book but ended up taking a detour. I still plan to visit Greenwich sometime, just to see what’s there.